Look at this image, this is the new Seicane 2013 Ford KUGA Radio after installation. 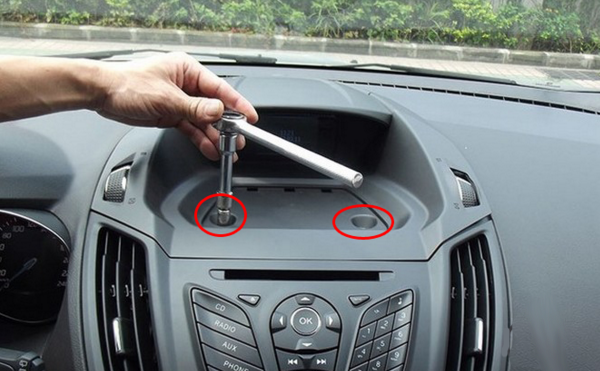 At first make sure whether this unit matches your car if it is one of 2013 Ford KUGA. To see the space after radio removal is whether right for new unit is the only way to figure this question. 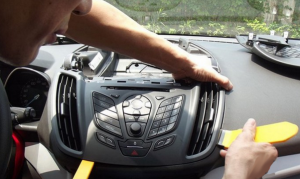 After you are sure that this radio is suitable for your car and decide to install a new one by yourself, then you are right to read this essay which will show you installation guide for 2013 Ford KUGA radio. 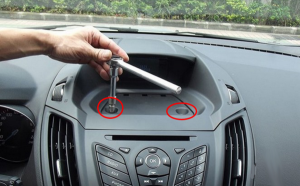 It also doesn’t matter if it seems to be improper for your car, because there are some places for stereo upgrade are common, it means that you can also learn a lot from the following description, and probably you can provide some advises to your friend. 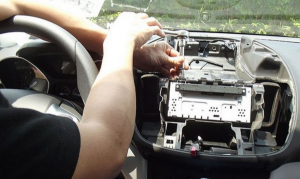 Installing an aftermarket car stereo can be a self-done thing doesn’t mean that you can do it without taking care of anything.There are some notes for you before you begin any work. 1)Loosen both sides of the top panel and take down it carefully. 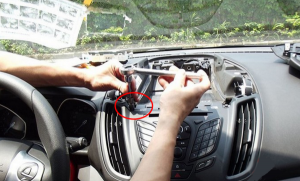 3)Remove the six clips from the original panel and install them on new panel, otherwise there will be gap on the dash after install new radio. 4)Remove the rubber blanket and the two screws. 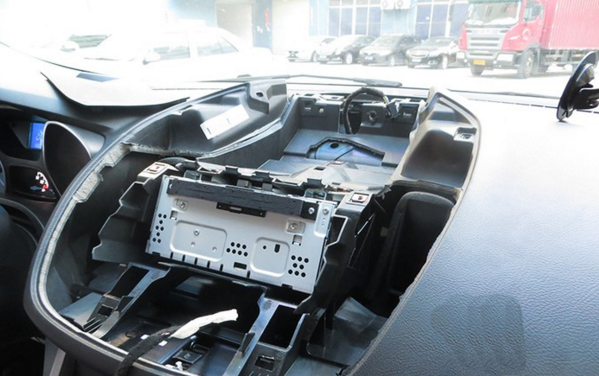 5)Remove the screws of the original LCD screen. 6)Remove the original LCD screen. 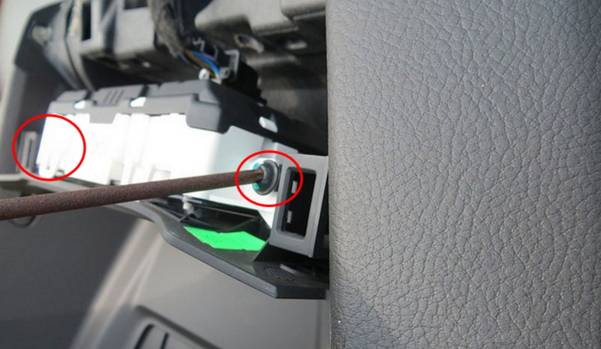 7) There is a screen under the LCD screen, you must remove it before take down the panel down. 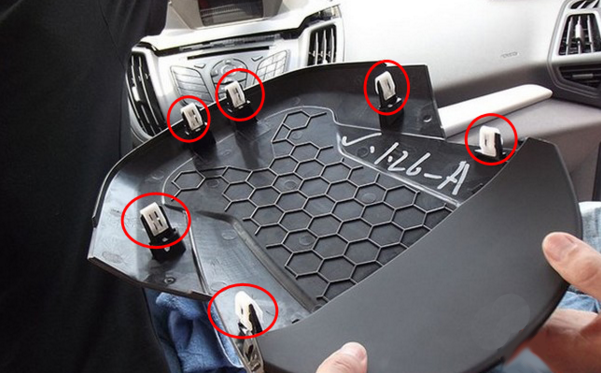 8)Remove the screws of radio control panel. 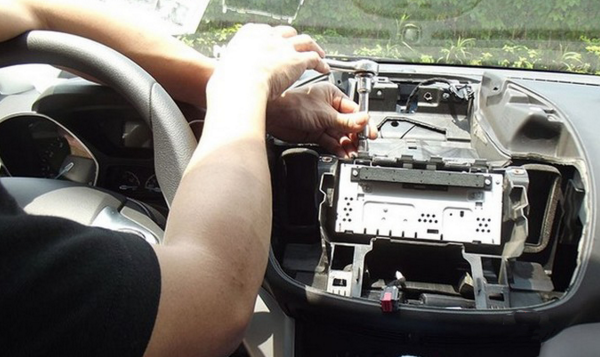 9)Pry up the radio control panel and remove it carefully. 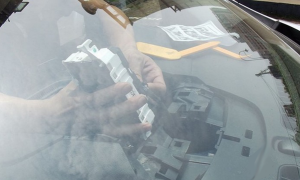 10)Pull out the radio panel. 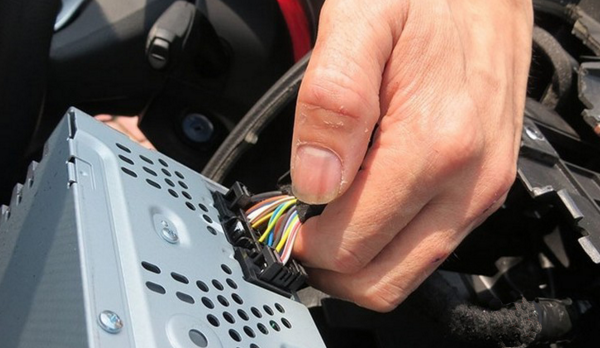 12) Unplug the plugs behind the original radio. 13)Connect the harness with the new Seicane radio as user manual shows. 14)Put the new radio and LCD screen into dash. 15)Make sure everything is ok and turn on the new car stereo to have a careful check. 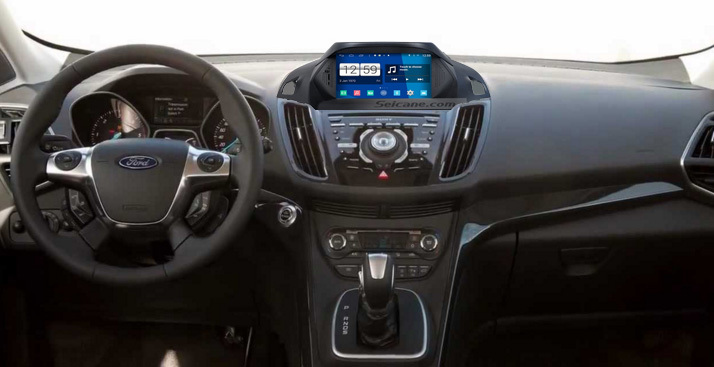 This Ford KUGA Radio has intelligent android 4.4.4 operation system, high quality RK PX3 with 1.66 GHz frequency Quad-core CPU, and 7 inch HD 1024*600 Pixels multi touch screen with smooth operation high sensitivity. Loaded with a lot of upgraded software and hardware components, this remarkable 2013 Ford KUGA Radio will bring you a totally different driving experience for you. You can enjoy a visually radiant display and an easier operation on its 7 inch multi-touch screen with 1024*600 pixel resolution. 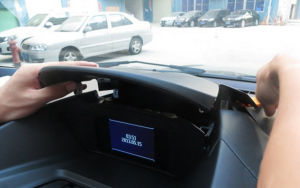 The built-in GPS can support updating the latest traffic information and provide turn-by-turn voice direction for you to get to the desired location. You can enjoy playing DVDs, VCDs, bluetooth music, FM/AM radio tuner to enrich your journey. 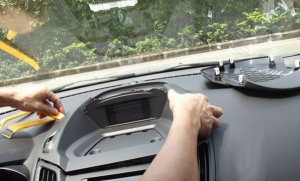 You can also connect your bluetooth-enable cell phone with this unit for hands-free calls and streaming audio to ensure a safe and cheerful journey. Your steering wheel control can still work after installation. 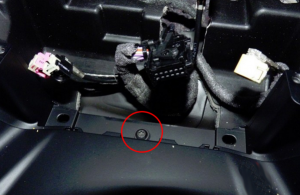 This entry was posted in Ford car stereo and tagged Ford KUGA Radio. Bookmark the permalink.